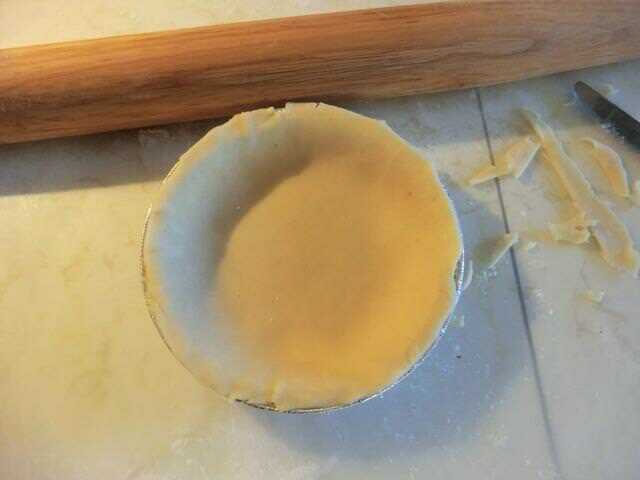 Pie Crust – Blind Baking Techniques | Cooking is Fun … Really!! 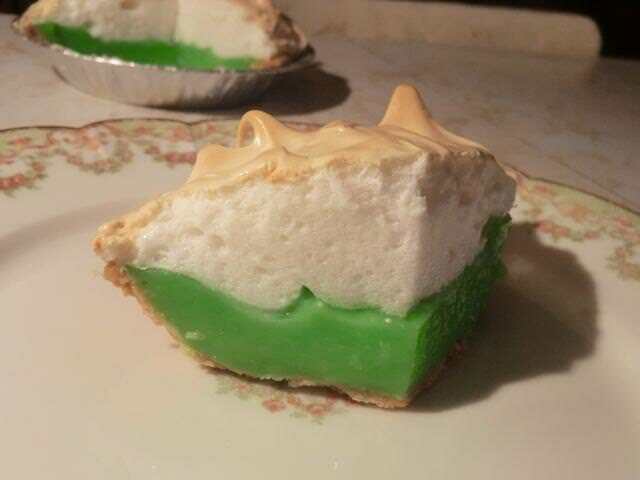 This is a very helpful technique, but the green pie filling is really far out – love it! LOL … I was just having fun with the green food colour for St. Paddy’s Day. 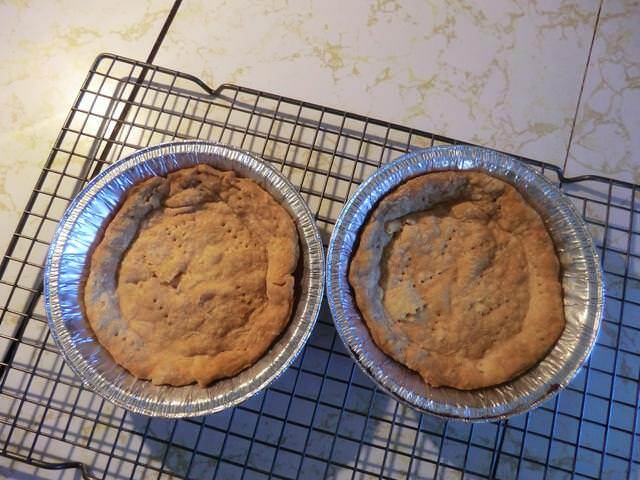 It gave me an excuse to bake another pie after eating all the first one too. Great post, finding it very useful ! I am definitely going to steal that flip technique, it looks pretty successful. I have some navy beans that I use for blind baking but I really don’t love the smell of the beans as the pie bakes. Your technique looks much better. It’s King Arthur Flour’s technique but I’m glad you’re going to give it a try. 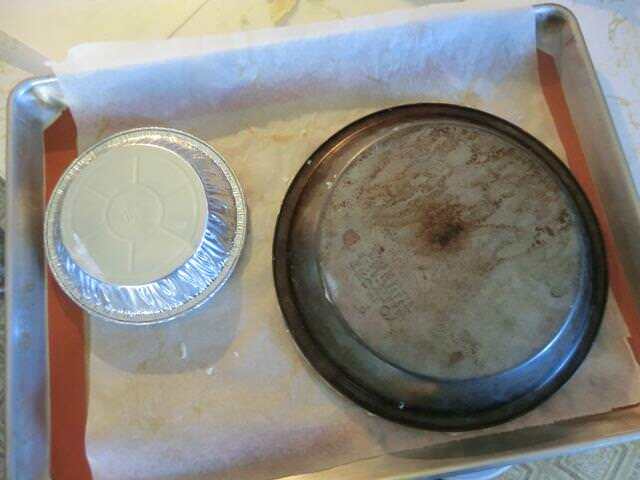 Check out the link for the full instructions including spraying the bottom of the top pan. (I didn’t have any PAM so I just used the parchment paper.). I agree, the fork method doesn’t work. 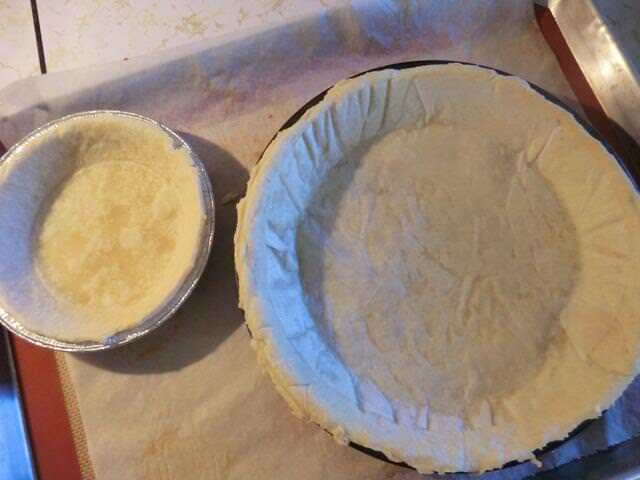 I use very thin “sablé” pastry (homemade) or bought thinly rolled out puff pastry and it doesn’t work with either. The third method sounds as good as beans (I use beans for blind baking). 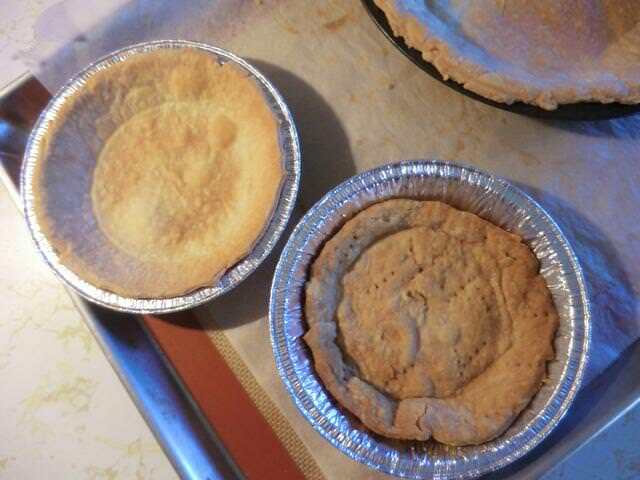 Very interesting, though maybe for small tartlets and not for big ones (one would need a second baking dish, with a similar size). 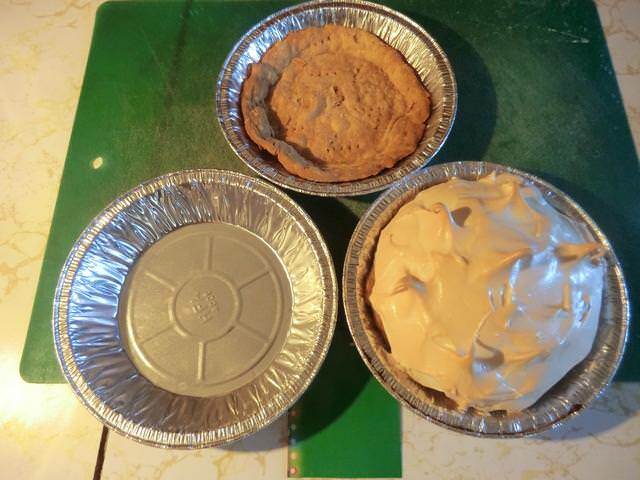 I am terrible at blind baking – I am just too impatient I think – wonderful pies, now I see your lemon meringue pie in a past post so I am off there to look at that one too! Interesting technique, thank you for sharing the tip. 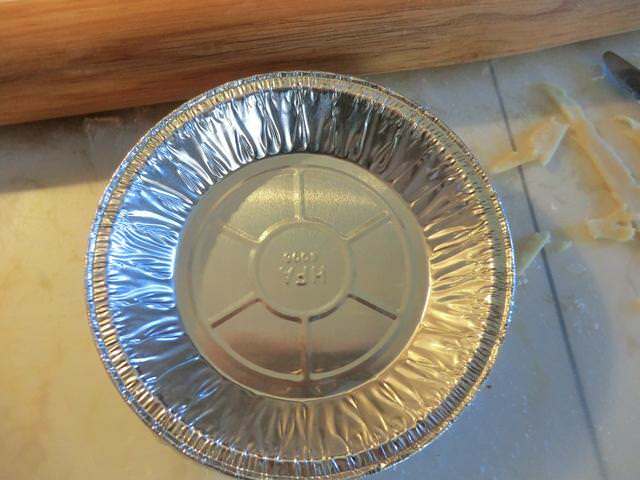 I have ceramic pie weight and a large bag of lentils that I’ve used in the past for blind baking. I am so glad you posted this!! This is genius! And I hate blind baking, too. 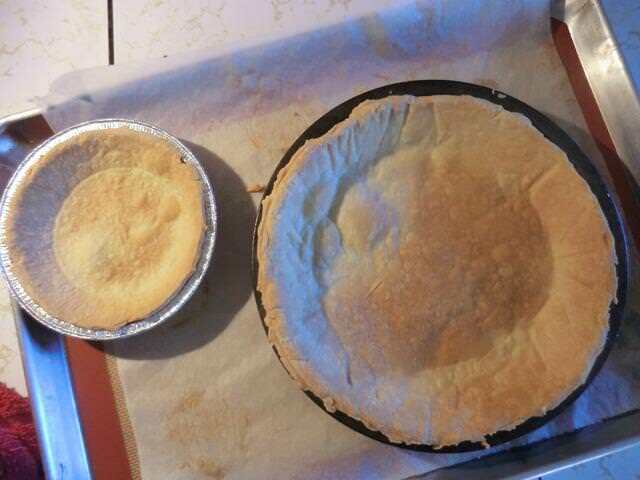 I am never quite sure how good the results are until the pie is done. And docking just doesn’t work well – mine always slump when docked and with any custardy pie too often I dock it too deep and get seeping. I’m trying this for my Easter pies!!! I hope it works out for you. I’ve only done it the once and, other than forgetting to do the docking (I WONDERED why I was getting the bubbles after I took the other tin off), it seemed to be successful. I just KNOW I’ll burn myself, lol!! But looking forward to giving it a try!